This plush Irish Teddy bear features shamrock ribbon on his neck along with an embroidered shamrock on his foot. 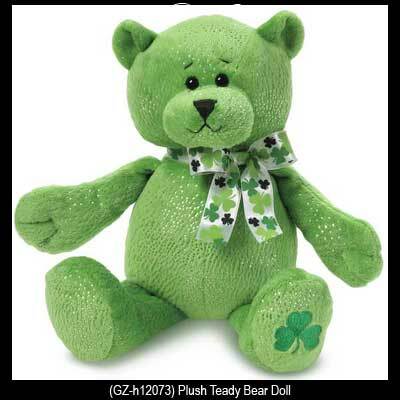 The green Irish Teddy bear is ever so soft and stands 10" tall. He is complete with a shamrock history card, complements of The Irish Gift House.